Welcome back fellow Ontarians, I trust you had a great and restful holiday, drank plenty of great wines, got your fill of friends and family, caught up on those lost hours of sleep and received all you wanted … and now an official welcome to 2017. It’s going to be a very interesting year – sure our collective gaze will be cast south of the border: who wouldn’t be interested in the mess going on down there? But there are also interesting things happening right here at home, and while wine may not be at the top of everyone’s mind, as say energy and gas prices, there are still some issues to be discussed. I’ll start with a good news story: for the first time this year I actually overheard the following said by the staff at a grocery store; “We’ll need to get that cleaned up in the wine section.” I almost forgot where I was. Was I dreaming? Was I out of the country? Nope that was right here in Ontario; and while I didn’t stop everything to go check it out, it was eye-brow raising to hear it … I still believe it will take Ontarians awhile to get fully out of the LCBO-exclusivity mindset for wine, but we’ll get there; it is a step forward. Sadly over the holidays I was also reminded of our backward thinking: A winemaker called me just after the New Year to wish me the salutations of the season, then asked if I had seen the LCBO’s 2015 annual report summary (found here). Buried deep within this one page document (3 pages printed), amongst the dollars the LCBO had brought in (1.451 billion), Ontario’s continuous growing love for California wine (up 11.5%), the continued decline of the Aussies (down 2.7%), and the cliff dive of South Africa (down 6.5%) were the numbers for Ontario wines, which provided me a variety of “moments”. A good moment … Ontario sparkling wine is booming, up 10.6% and if you’ve tried Ontario bubbles you’ll know this number is set to grow even higher. Thumbs up. An indifferent moment … Pinot Grigio continues to have its day in the sun, up 29%, while Chardonnay and Riesling are modestly up, 8.5 and 6.2 % respectively, showing that Ontario wine drinkers continue the move away from interesting wines and into bland trendy ones. A disturbing moment … International Canadian Blends continue their rise, with expected growth of 6.5%, while VQA wines will only move up 4.4% - is this something we should really be cheering about? Or the LCBO backing? This means that 100% Ontario wines are still being outpaced in growth and sales by the inferior, non-descript foreign/domestic blends that continue to haunt us and stymie the growth of quality, terroir-driven wines in this province. An eye-opening moment … The willingness of the Ontario wine industry to look backward to “drive the industry forward” continues unabated with this declaration in the LCBO report: “VQA red wines’ growth was driven by Baco Noir, which accounted for 20.5% of red growth …” Huh? Really? If someone were to ask you what the bestselling/fasting growing red variety in the LCBO is would Baco Noir have been at the top of your list? Mine would have included Cabernet Franc, Pinot Noir or even Gamay – but Baco? I disagree with that statement - I just don’t think they know better. People, we have got to stop believing that all Baco is created equal, Henry of Pelham have found themselves a niche, and it works for them – but just because they make good Baco doesn’t mean everyone else in this province does, nor should it be driving the Ontario red wine train in the LCBO. It’s time to stop leaning on the Baco-crutch and move on to the quality wines Ontario is producing from the noble red varieties; let Henry have their niche, it works for them, and they do it well, but don’t be fooled into believing that all Baco is the same. Because once we decide that Baco reigns it’s only a matter of time before more and more producers are testing the waters with their version of this grape. I brought up my dire concerns at a recent gathering of wine friends and someone remarked, “That could never happen.” Yet many said the same thing about Hitler and Trump. 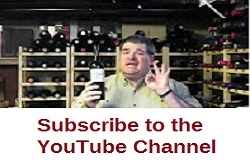 Don’t let Baco Noir be the destiny of the Ontario wine industry. Resist.